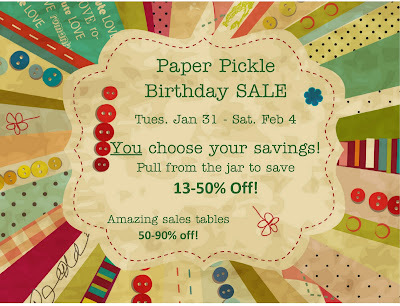 Happy 8th Birthday Paper Pickle! At last she returns.....Happy 2012! Ah. 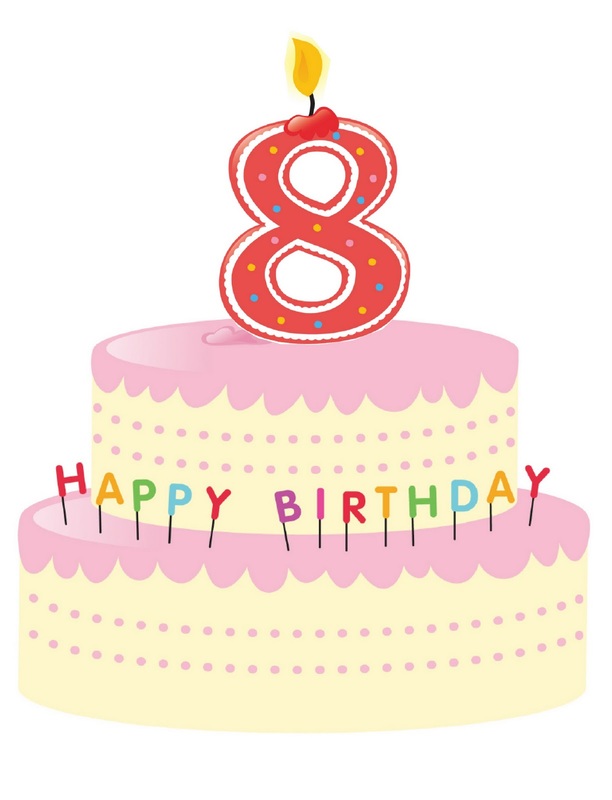 I cannot believe that The Pickle is 8 years old already! Oh, how time flies when you are having fun! And of course we are going to celebrate with a sale!!!! You know how we LOVE our sales.....with all the new product being released at CHA this week, it is time to make room! The timing couldn't be better for a little fun. TUESDAY January 31 - SATURDAY February 4th! There will also be an amazing sales table with at least 50% off!!!! I think you know us by now....so you know that we LOVE to add items to our sales table through the week. Shop early and often for the BEST sales! It's that time of year! Visit me at the Wedding Show today from 11-7 at the Bradley Convention Centre, Chatham. You can't miss me, I'm the only booth dressed with burlap instead of taffeta or satin. See you there! So I was thrilled when Linda posted today on her blog. She has listed all the copic and prisma pencil colours needed for her class on February 18th. ALL the colours are up. Check them out here. She has included the photo above as a sneak peek of the card you ultimately create. The other will come at the end of the week. Please have a good look at your stash and let me know if you need me to order in any colours for you!! 'Share the Love Event' Continues! I have been overwhelmed with the generosity of our customers! You are all such good people! Honestly, I am so truly touched. I have two huge crates of unwanted paper crafting supplies which I will be passing on to the Chatham-Kent Women's Centre.....and this is only after ONE week!! So let's keep cleaning people! Have a look at those things that you know you may not use but would bring a smile to another's face! You donate the product and I will give you a one week stamp rental.....it is really that simple. Got another class for ya! You asked for it....she's back WITH copics in hand!! 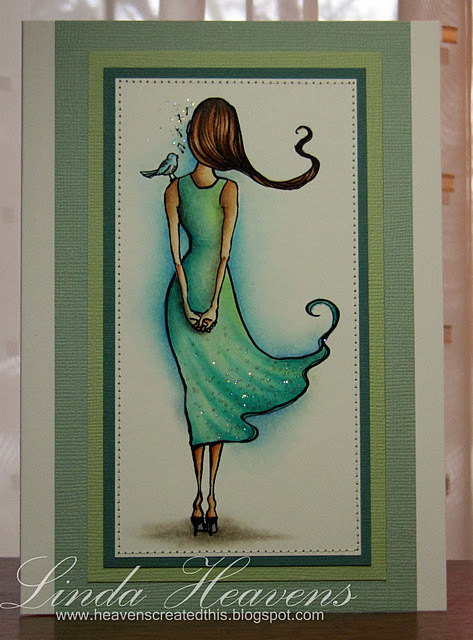 Linda will be teaching a copic and prisma pencil class using two adorable Stampingbella stamps: Sorry Shanna & Little Birdie Jane (NEW stamp from January release!) I do not have the colours for the required markers and pencils but all I have to say is that you are interested in learning how to REALLY use your markers, you HAVE to take this class. Linda is a pro and we are lucky to have her here in our hometown!! Required Supplies: List of copics and pencils to be announced! Still Room in the classes posted yesterday!!! Call me! NEW Products in Store NOW!! 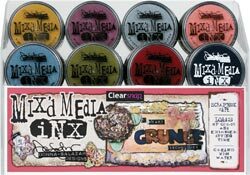 Anyone in love with Donna Salazar's Mix'd Media Inx as much as me?!?! The coverage is unbelievable and they stay open for so long that they are awesome for embossing and various techniques (like smudging etc.). Another awesome selling feature?!?! They are ONLY $4.99! Want more? We GOT 'EM! Check out all the amazing NEW colours....8 to be exact! We also brought in her embossing powders! I have lots of new little metallic charms and embellishments in store. This is something new for me. They are all sold individually. 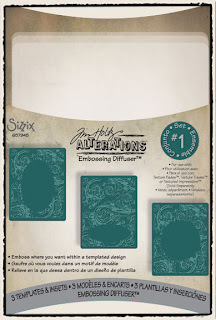 They are many times that perfect "something" that you are looking for to finish your card or layout!! Have you checkout out Stampingbella's NEW release for January? I was so impressed....I ordered them ALL!! Anyone interested in me setting any aside for you, just give me a call! I hope to have them in the store Tuesday after lunch (if not sooner). Penny Black stamps should be here next week! The 12 new COPIC colours have been ordered and I hope to see them in the next couple of weeks! I have also been very busy pre-ordering all the amazing new items that are being released at CHA at the end of the month. What is your favourite? 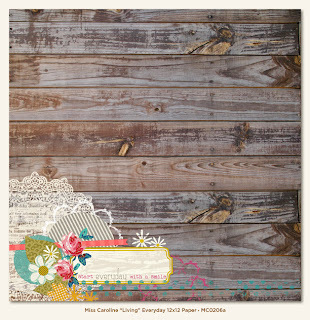 I have to say I am in LOVE with Crate Papers new lines (surprise, surprise! )....check them out at their blog! Oh my gosh....what day is it?!?! Sorry for the late post. I had a few fires to put out yesterday.....Tuesdays just seem to be that way....maybe I should change my class release dates to Wednesdays!! Have a look at the great classes coming up! Give me a shout at the store or pop in to sign up!! I know you are ready to get back into it. Two great cards jam packed with technique.....that is kind of what Debbie is known for around here! 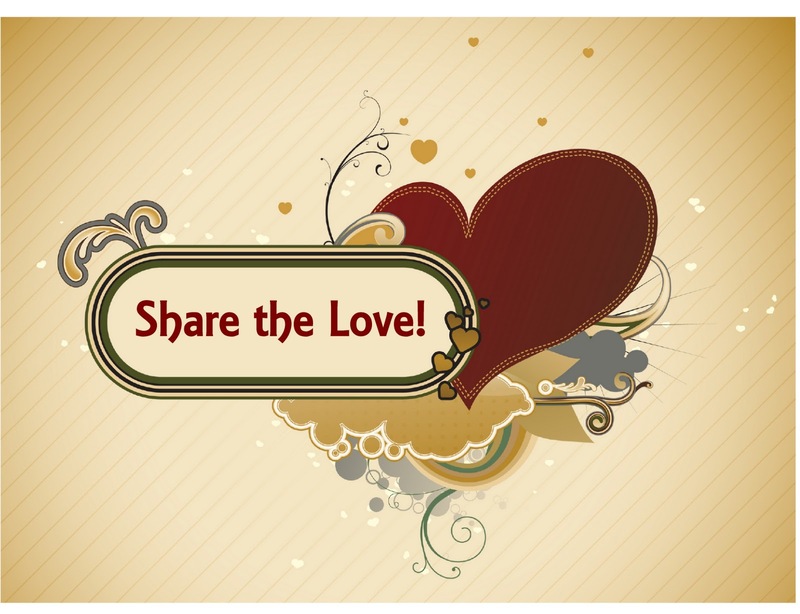 These cards are perfect for Valentine's Day or even an anniversary or wedding! You will learn various techniques including heat embossing, using decorative papers, working with various embellishments to dress your cards and more! I don't know why this 12x12 layout makes me so happy. Maybe it is the adorable little girls in the photo (my daughter and Kell's daughter!). I think you will have a great time in the class and even learn a little! 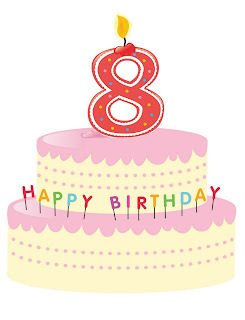 We will be working with embossed cardstock, stickers, vellum, ribbon, flowers, brads, ink and more! 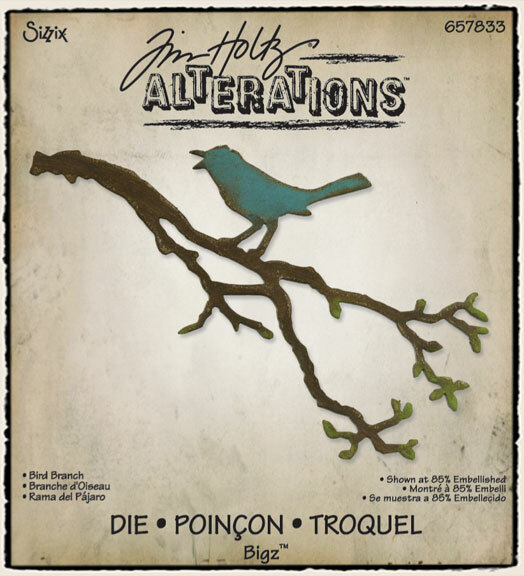 Suggested Supplies: Bring a distressing tool if you have one! I am still working on setting a date with Linda, but we will have a class mid February. Look for details VERY soon! So rumour has it that a cropping area will be available at 44 Fourth Street next month! I know many of you have been asking for this for years and very soon it will be here! Details to follow!!! So I have been wanting to do this for some time now. Remember all those years ago, around Christmas time, when we would rent our stamps for free if you donated a canned good. We collected hundreds of pounds of food each year which was donated to Outreach for Hunger. It felt so good to give back to the community. Do you want to do it again? Well, this time I thought it would be amazing to share with others who are interested in crafting but may not be able to indulge in the hobby at this time. So I have decided that for the next two weeks (January 17 - 28) come in for a FREE stamp rental! All you have to do is donate some of your unwanted scrapbooking and stamping products. These items will then be given to the Chatham Kent Women's Centre. I know the centre is always looking for activities for the women and children who are staying there. And please, be generous! Just think of how many smiles you will be creating through this one little gesture.....just in time for Valentine's Day. Oh. And hey. Even if you are not interested in renting, why not bring in some of those stickers and paper you are not using just for the heck of it. I know they will be thrilled will any and all of the items we will be passing along!! Well, hello there. Did you miss me? I bet you have all been so busy yourselves that you have not noticed my lack of posts. I felt like last week was my catch-up week.....a return to normal if you will. The kids are back to school and I am back to my usual time in the store. So do you want to hear what I have been up to....pull up a chair....this could take a while! 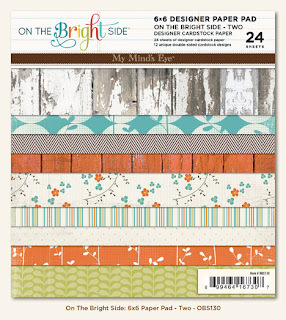 Scrapbooking Paper....Not just for albums anymore! So this year, I had it set in my mind that Trev and I would give Julia a doll house this year for Christmas. And you know me, not any old doll house would do. I am not the type of girl who likes all those plastic-y toys that you can buy anywhere. My doll house (or should I say Julia's!) had to be original. 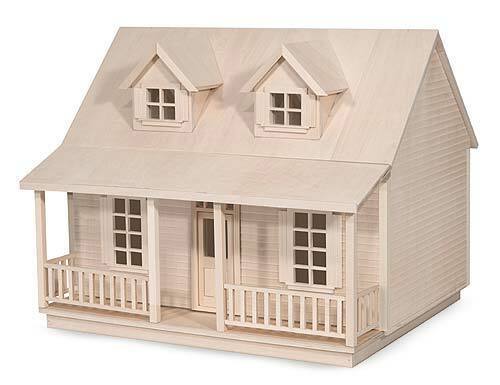 I ordered a Melissa & Doug house from one of my distributors. It was a gorgeous, build-it-yourself model in real wood. Yes, I had to use real nails and a glue gun, etc.....this was hard-core. And you all know me.....I ordered it in with lots of time to pull it together but what do you think happened??? Yes, I waited until a week before Christmas to assemble it! And I think I spent too much time decorating and designing the interior that I didn't allow myself enough time for the actual construction!!! Ooops! But I must say "Just-In-Time" girl did it again. This time I completed the project at 3am on CHRISTMAS EVE!!! Ah....honestly, why do I work this way? It was a success though.....she LOVED it! Here is a picture of my girl a couple of days after Christmas with it! So I decorated the majority of the house in various lines from Crate Paper (one of my favourite companies ever). Notice even the floors were covered in their "wood" paper. And check out all the furniture. All of this furniture was purchased from Ella Minnow Pea. It is all made of real wood and I know this stuff will last for generations. I have to say my favourite room has to be the kitchen! An overall look at the house....I LOVE the stairs. Actually I love EVERYTHING about it! Nursery - MORE Crate Paper. I have since reapplied PPA to the floor to seal it streak free. Living Room - Is that MME paper? I think so. So do I have you convinced to make one of your own?!?! It was not hard.....just give yourself enough time! I see Lesli at Ella Minnow Pea has a barn that would look awesome in our backyard.....hmmm....wonder how I can decorate that?!? An Easter gift perhaps? Ask me on Good Friday how it's going. For the first week of 2012, I worked on one massive order for a local business. I mean, over 200 pounds of invitations! 1,220 invitations to be exact. I had set up shop in my dining room and literally glued from morning 'til night. Here is a look at my progress (about half way through the week). I must say that my best friend in the process was ZIP DRY. The product just sticks. But what is great about it is that there is time to shift your paper if you have misplaced it. Also, I love the fact that if a little bit oozes out the sides, you can just rub it, and it will be gone. I did have a lot of little glue boogers on my floor but darn, did those invites look perfect! My only warning about working with Zip Dry is to make sure you do not use too much.....a little really does go along way. What happens if you use too much is that you run the risk of it absorbing through your paper and the paper becomes transparent.....seeing adhesive on a finished product is a no-no. I learned this lesson about 4 years ago when we worked on our Christmas cards. About 300 of my already stamped and coloured images were ruined because I really wanted to make sure the paper stuck!! I knew this time not to make that mistake!! I will show you guys the finished product once the event happens. I was quite proud of the end product. So I have been debating or should I say dreaming about CHA in California this year. Oh how I would love to go but who would watch the kiddies? Maybe I can figure it out before the end of the month. I have been checking out the various emails from suppliers and I must say that I am quite impressed so far with the new releases. You will have to check out The Scrap Review and tell me what products you absolutely need (don't be afraid to email me!). Joan told me about this site and I swear I spent an hour this morning jotting down notes and drooling over my favourite new products. I must say that MME has done it again! Still one of my #1 companies. I also swooned over the new Tim Holtz dies and embossing folders. Now don't tell anyone but I kind of have a crush on Tim Holtz......AND I have a little something in the works with him. Let's just say that I did receive an email from him this weekend. Hmmmm.....yes, I will keep you guessing. And so yes, I have been busy catching up this past week. One of my duties was ordering. Let me just tell you that I have pre-ordered ALL 12 new copic colours! Let me know if you need any of this set aside (our price is still $6.49 per marker!). Penny Black stamps (which have been long over due) are ordered and should be here in the next two weeks! I have also ordered from Stampingbella, Hero Arts and Verses. The super hot, SMASH products have all been ordered and are now back in stock. I am hoping (and praying) that K&Co has a HUGE new release of SMASH stuff. I have to admit that I did take a few breaks over the past two weeks to smash.....that's what Julia and I call it. I will share in a future post I promise! I will be posting some classes this Tuesday. It may be a bit of a staggered listing but we will have some great new classes in the upcoming weeks. Come into the store or check on line for these great projects! I know you are all quite eager to get back into it! So see.....I HAVE been busy even though I have not been on here. I have made it one of my (late) new year's resolutions to get on here more often. Maybe I will even do a weekly or bi-weekly post!?!? Stranger things have been know to happen! See ya soon! I just wanted to send out one last post about Scentsy on here, and then you can follow along on our new Facebook page if you would like to stay in the loop! Kim promises to be back posting by the weekend to tell you everything she has been up to over the Christmas holidays! 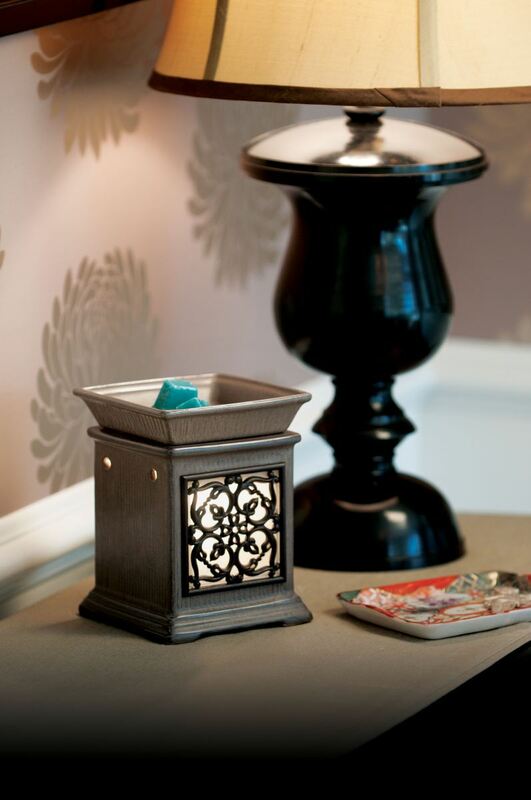 If you are still unfamiliar with Scentsy, make sure to pop in to the store to see our little display. 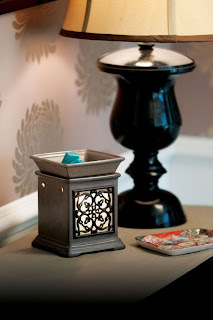 Scentsy offers unique warmers that are very safe; as there is no wick, flame, or soot, and over 80 amazing scents to choose from! As you walk through the door, you will notice the delicious smell of Sugar Cookies, my new favourite! Don't forget to check out the 20 "Bring Back My Bars" available for the month of January only! Don't miss out on these retired scents, available for this short time! Don't miss out! I will be placing my next order on Saturday. If anyone would like to add anything on, please email me (Kelly) at kelly.deline@gmail.com, or call me at 519-358-1442. Something I haven't mentioned before, is the opportunity to earn free Scentsy product! January is the best time to host a party because you receive double the hostess rewards! Yey! The easiest way to do this is by having a "Basket Party". I will drop off a basket of goodies containing all 80 scents, sample warmers, catalogues, and order forms to you. You can then bring your basket to work, visiting friends, your child's school, or their after school activity (you get the idea ), to collect orders. It is very easy, and you don't have to worry about cleaning your house! OR, if you would like to have an Open House party, I would be happy to set up a display and teach everyone you know about Scentsy! What a great excuse get together with friends! If you are looking to have a fundraiser, for a charitable cause, your child's class trip, team, etc, we would love to help out! Please call or email for more information. And lastly, if anyone is interested in joining the Scentsy team; for only $119 you can! What a fun way to earn some extra cash. Whether you are a stay at home-mom, retired, or just want to share your love for the product, I would love to tell you about this amazing opportunity! I apologize for the Scentsy overload! Don't forget to place your orders by Saturday.